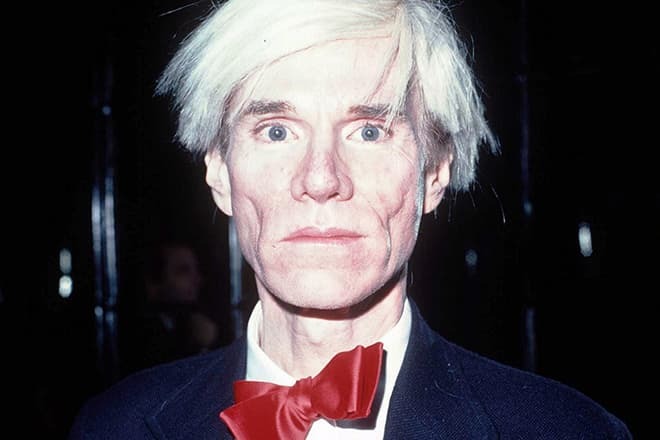 Andy (Andrew) Warhol was born in the American town of Pittsburgh on the 6th of August, 1928. The family of Warhols (the real surname is Warhola) has moved to the United States from Slovakia, so Andy is Russinian by his origin. At first the father of the family, Ondrej moved to the U.S. searching for a job, and in 1921 his spouse Julia joined him. Andrew’s elder sister, Yustina, was born and died in her infancy, in their parents’ homeland. Except for Yustina, the boy had two elder brothers and one younger brother. His father worked in a coal mine, and his mother was a housewife. Also, she earned additionally, cleaning the floors, windows and making artificial flowers of the improvised materials. After moving to Oakland (neighborhood of Pittsburgh), Andy attended the ordinary school. 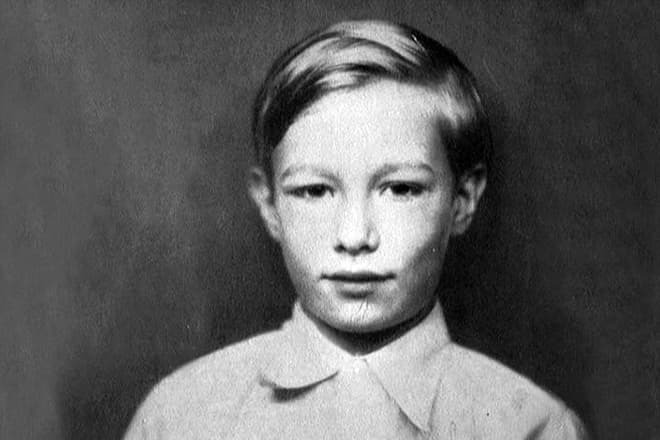 The boy grew cheerful and tall fellow (being adult Warhol was 180 cm tall) until he was devastated by the disease. When he studied in the third form, Andrew had Sydenham's chorea which turned out to be the consequence of the transferred scarlet fever. Being will with this disease the person has muscular spasms which one can’t control. From the naughty playful boy Andy at once turned into the little sufferer who was stuck to his bed. He couldn't attend the school, besides his former friends teased and mocked at him. The boy began to be afraid and feel panic because of the hospitals, doctors, pricks and everything that was connected with the diseases. To entertain and encourage his son, Julia began to draw different pictures for her son; she bought magazines and newspapers. It was precisely at that time when little Andrew started to have interest in the drawing: he drew the bulbs, handles, keys and tried to find something new in the ordinary things and creating his first artworks. The boy began to like making collages of the newspapers' cuttings, and later – watching stories in the moving pictures with the help of the projector. Since the age of nine, Andrew began to attend free classes on the art skills and even planned to enter the local university and then to teach the drawing. The death of Andrew Warhol’s father became the tragedy for the whole family. His father died in the accident in the mine. 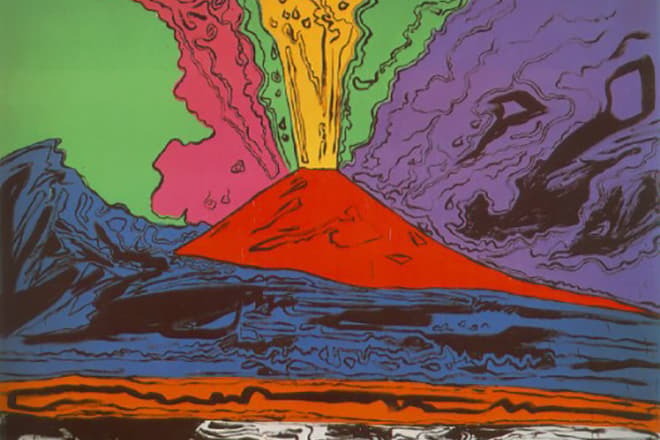 After Warhol finished the high school, he entered the Carnegie Mellon University of Technology he planned to work in the future as an illustrator in the advertising sphere. 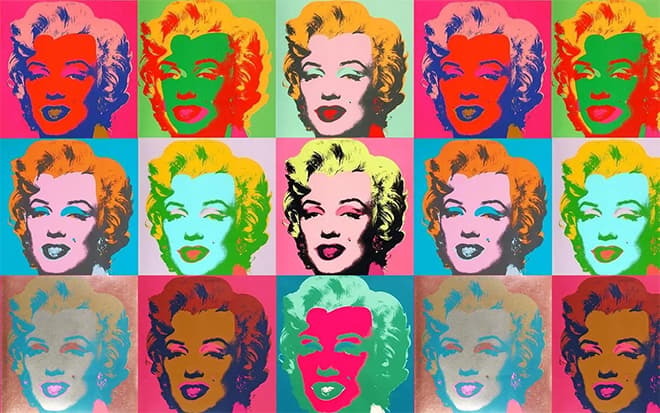 In 1949 the future pop art king received the Bachelor’s degree in Graphic Design and set off for New York, having changed his surname from Warhola to Warhol, and his name – from Andrew to Andy. 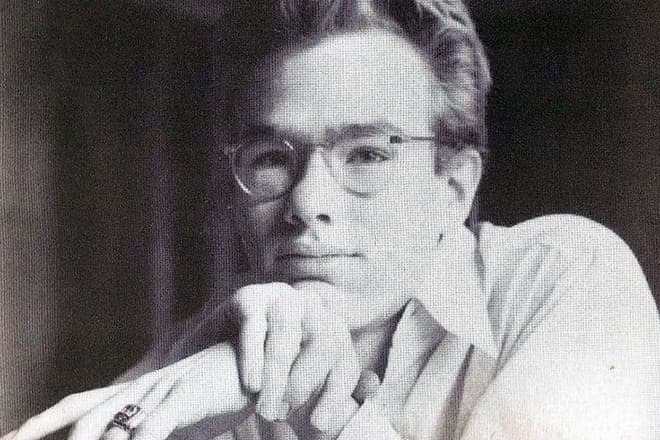 Andy was a very talented person: already in his youth, at the beginning of his career, he managed to gain the attention of some big corporations. He started his career with the window dressing of the shops as well as many other artists-advertisers. Moreover, initially, the young man drew postcards and posters and also decorated the stands. 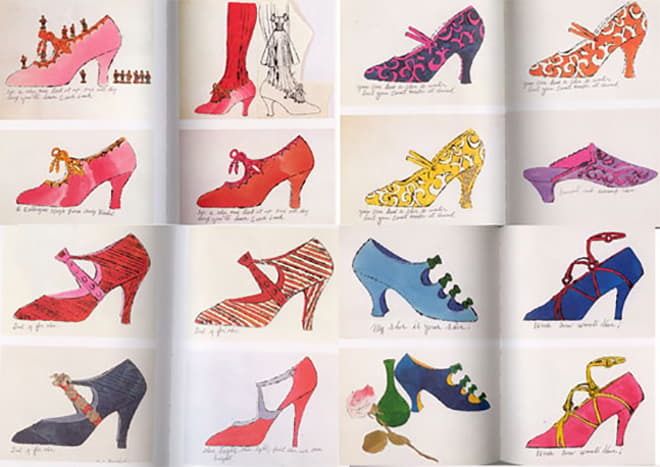 At that period, Warhol cooperated with the Harper's Bazaar and Vogue fashion magazines. The artist achieved true success after he had created an excellent ad for the footwear brand I. Miller. Andy drew the footwear with ink and decorated it with the blurs. The popularity brought the young man decent profit, and well-known brands began to conclude a contract with him. However, the master himself considered the success just a step on his path to "high art" about which he had quite an odd sense at that time. In 1952 in New York there was held the first exhibition of Warhol’s works, and four years later he was enrolled to the Club of art editors. The artist's hobby for the method of the screen printing also refers to that period. He used it for the creation and further reproduction of his artworks. Using the matrix on the basis of the pictures taken by himself and newspaper shots, Andy created his most well-known pictures, monochrome and colored collages with Marilyn Monroe, Mick Jagger, Mao Zedong, Liz Taylor, Elvis Presley, Audrey Hepburn. Later, these images became the pop-art symbols. In 1960 Andy began to develop the design of Coca-Cola cans, later he started to create graphic works and drew banknotes. Then there began the stage of "cans" which were represented picturesquely in the method of stenciled silkscreen prints. 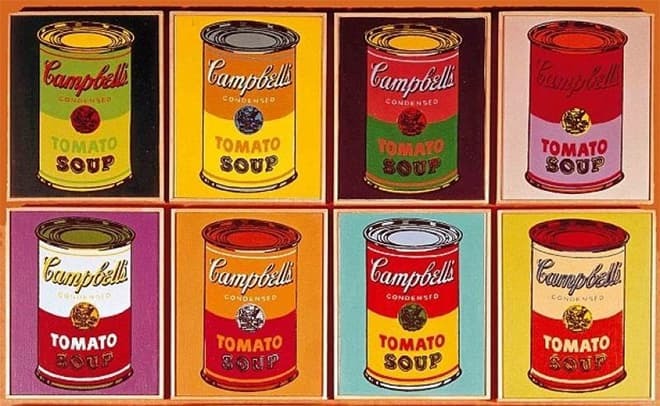 Naomi Campbell’s soups and other utilitarian objects also appeared in the art lens of Warhol. In 1962 there was held the art exhibition of Warhol’s best works. 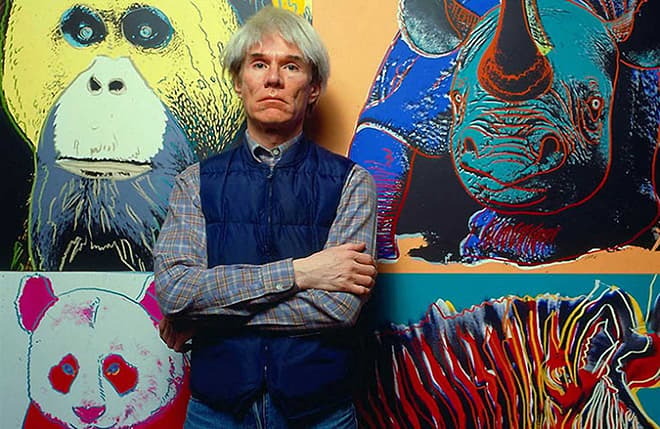 After this, the critics recognized Andy as one of the best leading pop-art masters. His creative career caused controversial opinions. Some admitted that Warhol was a satirist who highlighted the consuming character of American life. Others considered all his "masterpieces" to be exclusively commercial projects, properly organized showboating aimed at receiving profit. The artist, who was the ingenious master of shock and self-mockery, he promoted the art as something extraordinary and worshiping and not focused on the broad masses. Warhol is considered to be the most popular commercial artist of the previous century. Mick Jagger, Liza Minnelli, John Lennon, Brigitte Bardot, the family of the Iranian Shah and other celebrities ordered their portraits at Warhol. 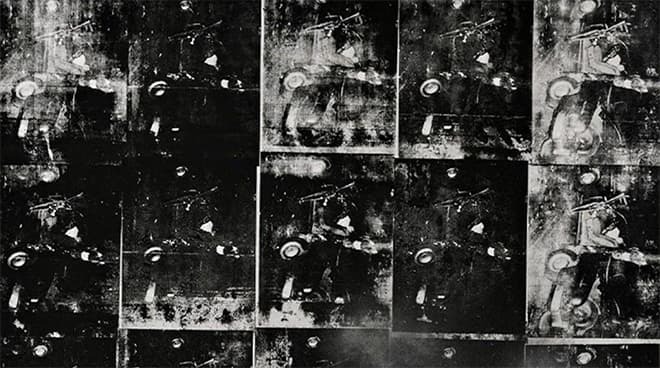 Warhol’s most expensive picture Silver Car Crash (Double Disaster) was sold in 2013 for $105.4 million. 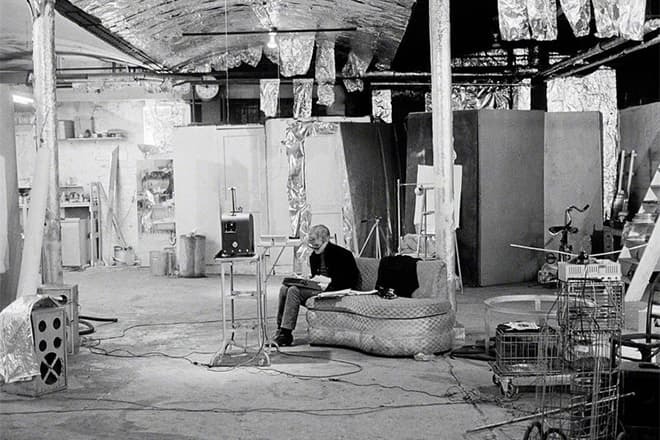 In 1963 Andy Warhol bought the abandoned building on Manhattan. Here he purchased the studio and called it The Factory. It was the place where the team of Andy’s assistants created multiple copies of his masterpieces with the help of silk-screen printing method. Here he shot his movies which were seen only by few people. In the building of The Factory there constantly were held the parties. Moreover, the artists, journalists, and other bohemian representatives gathered here together. In 1964 there took place the exhibition of the Factory's owner. There were presented the installations made of the used containers and other utilitarian objects. Warhol not only received the title of pop art king but also became the major representative of the modern conceptual art. 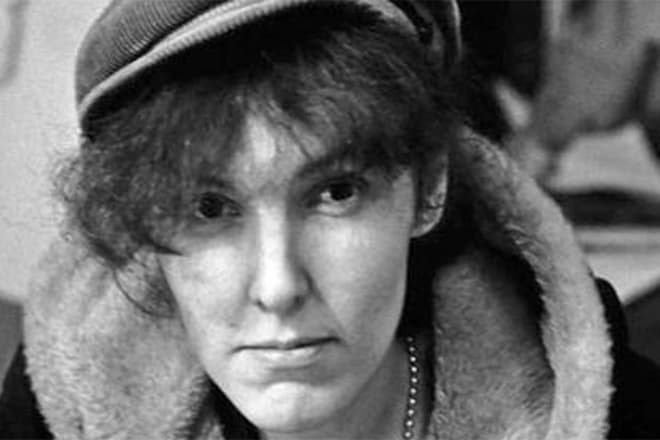 In June 1968 there was an assassination attempt on Andy Warhol: the famous feminist and model, Valerie Solanas who had taken part in one of his movies shot at him. Andy got three bullets in his stomach and survived by the miracle. He got through the clinical death and had a complex operation, and the consequences of this incident followed him for the rest of his life. Warhol didn't start taking legal actions against the girl. However, Valerie anyway was sentenced to the three-year and half imprisonment. What about Andy, he needed long-term treatment, and he had to wear a bodice. He began to have even more severe fear of the doctors and diseases. Also, Andy then had terrible scars as a memory of the assault and surgery. 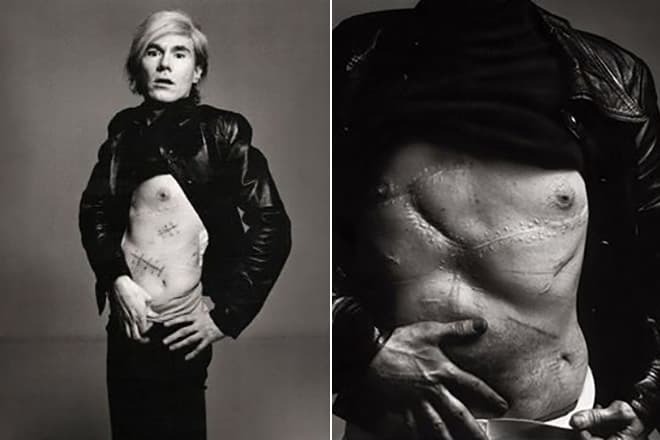 The artist didn’t hesitate to demonstrate his scars in front of the cameras. Andy Warhol never went public with his private life, but he neither kept his relations in secret, both friendly relations and love affairs. 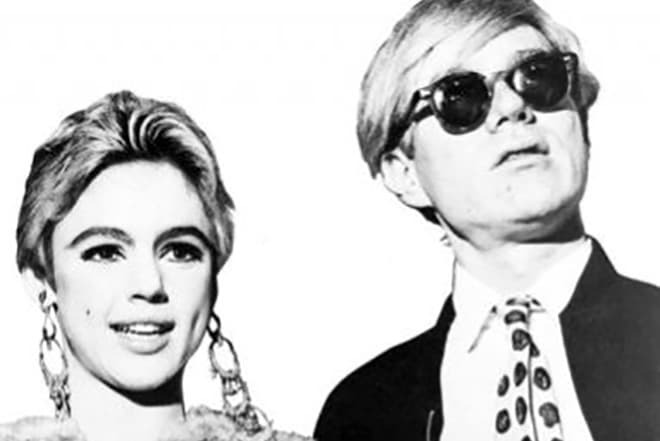 For a long time, Warhol was said to have a love affair with his muse and girlfriend - model Edie Sedgwick. They were always together and dressed in the same way. Moreover, they dyed their hair, nails and had similar haircuts. Edie took part in Andy’s movies and posed for his pictures. When the couple broke up there appeared the rumors about the drug addiction of both representatives of pop culture. However, this information wasn’t officially confirmed whether Warhol was a drug addict or not. It’s unlikely that Andy and his muse had something in common except creativity as this great contemporary artist had many male lovers. What was the cause of Andy Warhol’s death? Many fans of his creative work are concerned about this question. The artist died at the age of 58 in the hospital on Manhattan, after the operation on the removal of the gallbladder. The cardiac arrest is the official cause of his death. He died on the 22nd of February, 1987. Warhol's philosophy consisted in his careful closer look at life, self-mockery, and ability to see the world from a different angle. The artist expressed all this on the canvas, and sincerely considered that the commercial painting had the right to exist, and there was nothing shameful in it. The style of Andy’s pictures can be described as naturalistic pop art, though he used the generalizing visible means rather often. In such a way, the portraits of celebrities have idealized lines and look like a brief sketch, a summary of the individuality of some specific character. With the help of vivid colors, the artist expresses his mood. And the neon tone which the artist began to use at the end of his life screamed about unexpressed thoughts and feelings. It’s not worth describing the master’s pictures. It’s better to see his pictures in reality and to feel the information message which Andy wanted to express to the public than to study the encyclopedias dedicated to his creative work. Andy's ideas and talents continue to inspire the artists, advertisers, creative people, and businesspeople. For example, the sketch of the glasses which was found in Warhol’s archival papers inspired the Retrosuperfuture brand for the creation of sun-protection accessories’ collection. Many fashion brands use different master's works to create the prints for the clothing lines, wall-papers, bags, and other design items. There are several films about the creative work of Andy; in others, he appears in episodic roles. The following movies tell about them - I Shot Andy Warhol, Factory Girl. In the film Basquiat dedicated to the artist Jean-Michel Basquiat, the legendary David Bowie performed the role of Warhol. The most famous Russian movie in which Warhol is mentioned is What Men Talk About. Andy Warhol created the popular magazine Interview in which the celebrities organized interviews with other stars to visit movie premieres.